Cycling’s in the media again. Cycling is becoming increasingly popular as a legitimate mode of transport…it is often a quicker option than driving in larger cities…local councils are investing more in infrastructure that supports pedal power. Well yes, it often is quicker, but its legitimacy as a form of transport is recognised in only a small number of countries in the world. While it is great to have support for cycling in the media, we need more than the just the familiar ‘boosterism‘. From a wheeled pedestrian’s perspective, the article gets worse. 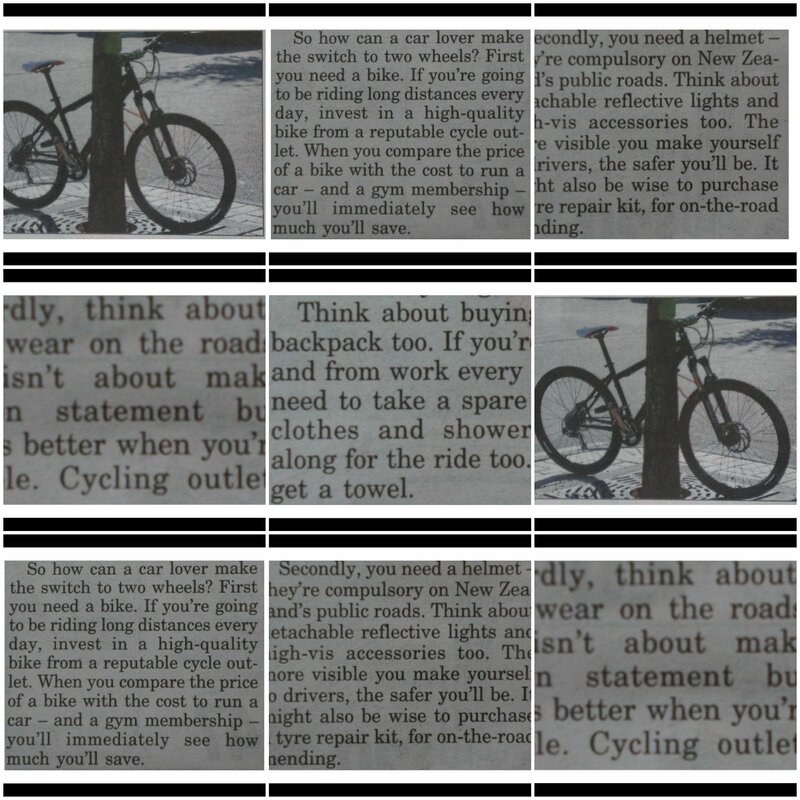 It offers tips on how to commute by bicycle. It’s full of phrases that contradict the ethos of how simple cycling can be and, how it needs to be presented. It doesn’t use the language or imagery needed to really connect with the people who are misinformed or are sceptical about cycling…. ← If it’s not about cycling, what is it about?